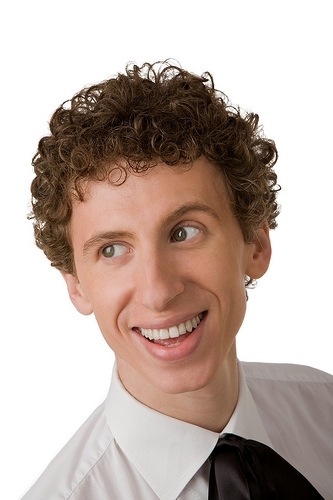 Are you an adult who is considering getting braces? Perhaps you’ve had them before, but over the years that dental work has been reversed. 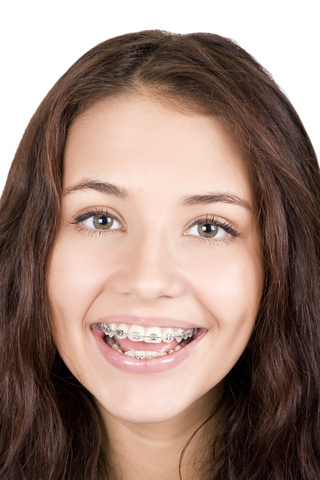 Or maybe you’ve never had any orthodontic work done, but are considering braces for the first time. In either case, Darbro Orthodontics can help you enjoy straighter teeth, an improved bite, and a more beautiful smile. If you are considering getting braces, here is what you need to know about adult orthodontic work from Dr. Darbro. The next step is to complete any prerequisite treatment. During your first meeting with Dr. Darbro, we’ll need to take some X-rays and molds of your teeth, and then help you determine an appropriate treatment plan. Recommendations may include some preliminary dental work before you get your braces, which can be an important step in making sure your orthodontic treatments are effective. Once you have completed these steps, you are ready to get started! After you’ve chosen a treatment plan and undergone any necessary prerequisite dental work, you’ll be able to get your braces. Just like that, you’re on your way to a better smile! If you’d like to get started right away, call our Greenwood, IN location today! When you first start thinking about going to the orthodontist, it is normal to feel apprehensive. What will your orthodontic experience bring? Whether you have been advised by a dentist or chosen to seek out orthodontic care from Dr. Darbro on your own, there are a few things you can do to prepare for your initial consultation at Darbro Orthodontics. With answers to your questions, and an orthodontic team on your side, you can be confident about any necessary orthodontic treatments. 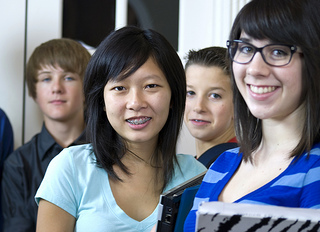 From the initial consultation to the day your braces come off, your orthodontic treatment at Darbro Orthodontics can be a smooth and simple process. The moment you see that beautiful smile, you’ll know it was all worth it. When in doubt, be sure to contact our Greenwood, IN office with any questions, or to schedule an appointment with Dr. Darbro at Darbro Orthodontics. These days, Americans everywhere are putting greater emphasis on health and self-improvement, and more people are seeking orthodontic treatment to improve their smile. September happens to be Self-Improvement Month, and our team at Darbro Orthodontics knows that orthodontic treatment is an investment in self-improvement that will provide benefits for a lifetime. Recent advances in orthodontia now make treatment more comfortable for many interested in obtaining that beautiful smile. Not only does orthodontic treatment give you a beautiful smile, it can also benefit your dental and general health. If teeth are poorly aligned, removing plaque and tartar by brushing and flossing may be difficult. A bad bite may result in fractured or excessively worn tooth surfaces, and the extra stress caused by a bad bite may even result in problems with your jaw joints. If you’ve been thinking about getting that perfect smile, Dr. Darbro would love to have you visit for an initial consultation. Please give us a call to schedule a visit! See you soon! You are currently browsing the The Darbro Orthodontics Blog blog archives for September, 2013.